Caterina Scorsone is now a mother of two. 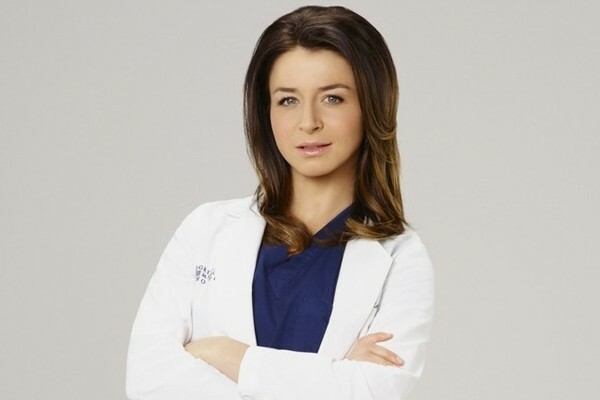 Congratulations are in order for Scorsone, better known as Dr. Amelia Shepherd on Grey’s Anatomy. On Tuesday evening, the 35-year-old announced that she’d brought her second child into the world, daughter Paloma Michaela Giles. “I’m with her. Introducing Paloma Michaela Giles. The future is female,” Scorsone wrote in a joint personal/political statement, an iconic “I Voted” sticker placed on baby Paloma’s tiny tummy. Scorsone’s character Amelia first entered the Grey’s universe via spin-off Private Practice, making her way onto the hit ABC show shortly thereafter. Instead of incorporating a pregnancy into Dr. Shepherd’s life, showrunners implanted a pregnancy scare. In addition to Grey’s Anatomy, Scorsone is also known for appearances on Castle, 1-800-Missing, and Power Play. Sandra Bullock's Boyfriend Wants More Children, Will They Adopt More? Countess LuAnn De Lesseps Announces She & Boyfriend Thomas D'Agostino Jr. Are 'Gonna Get Married' — Despite Her Reps Saying Otherwise! The Ratings Are In — American Idol Said Goodbye To A LOT Of People On Thursday Night!